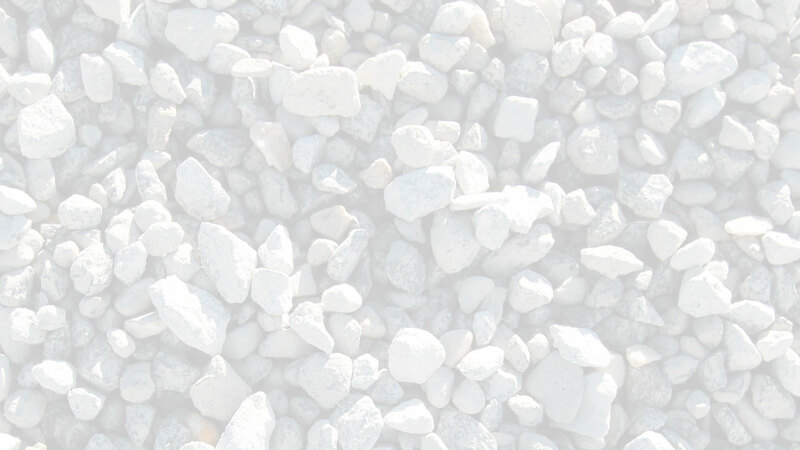 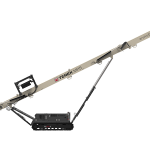 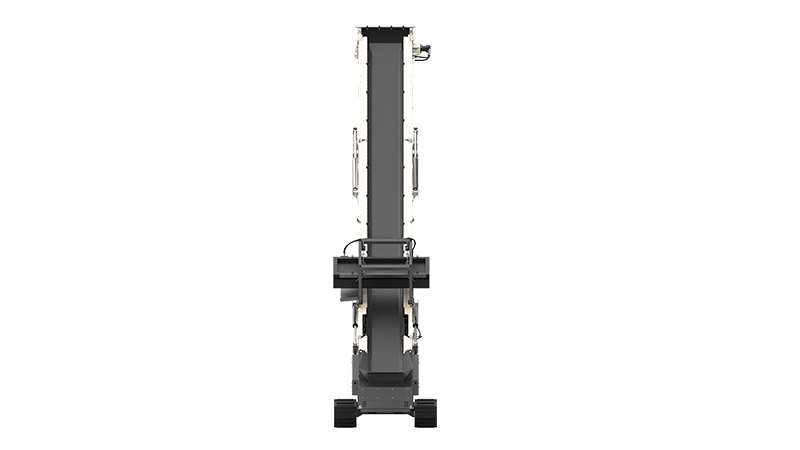 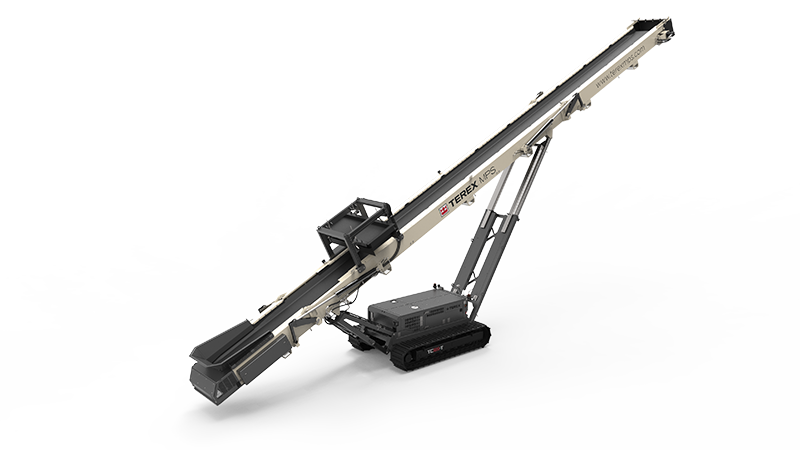 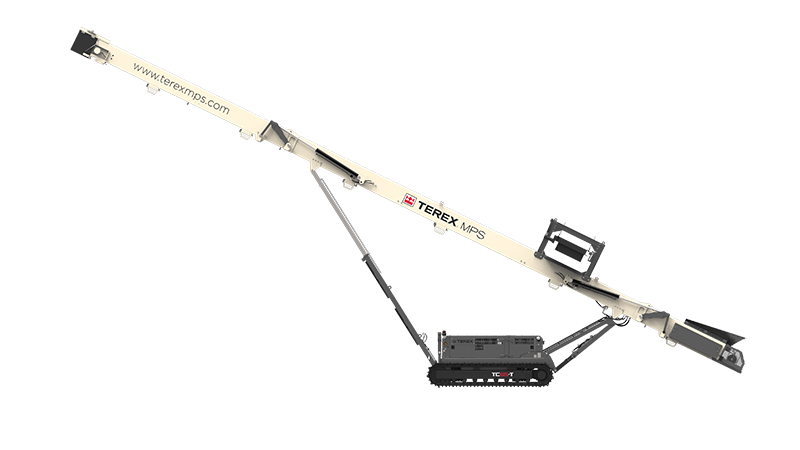 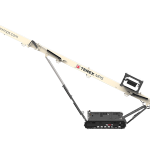 The TC100-T features a conveyor length of 100ft (30m) and a capacity of up to 600 tph. 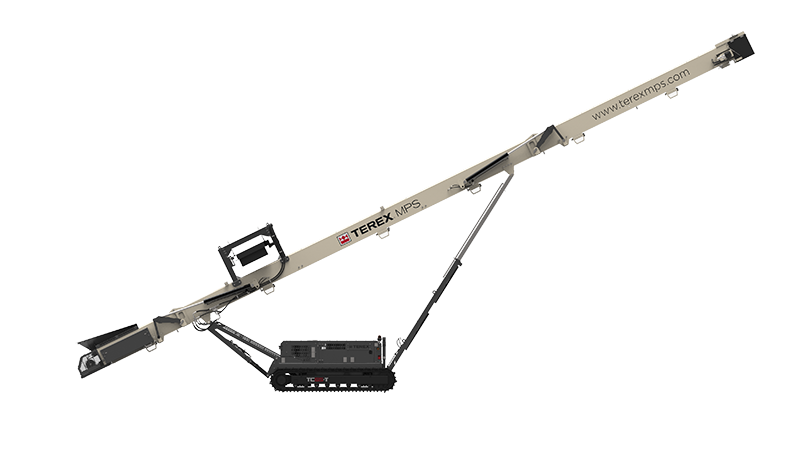 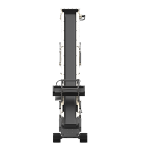 With built in hydraulics adjustment are quick and easy with a maximum angle of 28 degrees and max height of 47ft (14.3m). 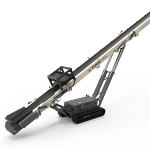 It hydraulically folds for transport and can be loaded into a single container thanks to its for roll on roll off design.